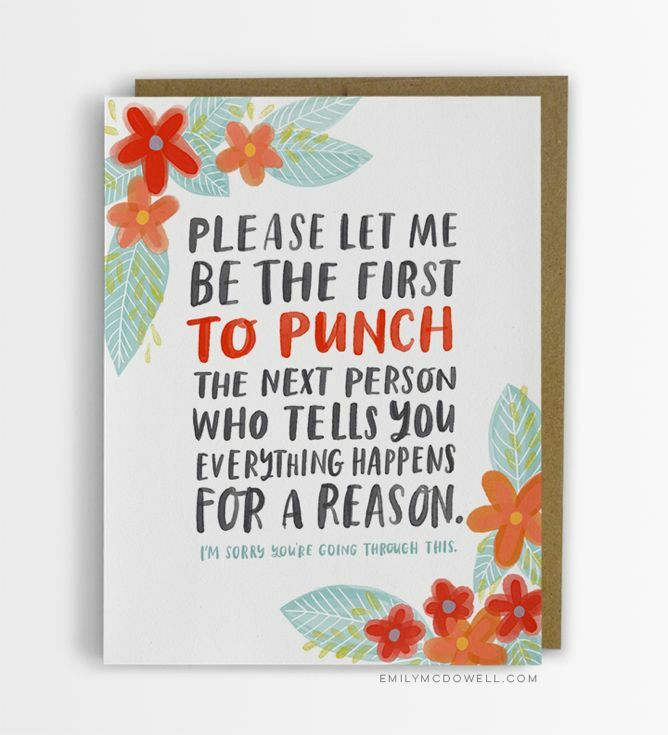 Designer Emily McDowell has created some empathy cards of the sort she wishes she’d gotten when she was fighting Hodgkin’s lymphoma. She said the toughest part of her illness was having friends or family disappear because they felt awkward and didn’t know what to say to her, or who said the wrong thing without realizing it. No doubt she’s referring to people who say brightly, “Oh, Hodgkin’s. I knew someone who had that … but he died.” We all know the type. The cards and related products are currently available at EmilyMcDowell.com, where you can also find a list of retailers who stock McDowell’s designs. If someone you know is ill and you’re struggling to find the right words, it might be a good place to start. I saw these cards a few days back when I was still catching up, and you were the first person I thought of! It’s always nice to know there are a lot more people out there with our particular sense of humor. My mom and my friend Mary give humor a lot of credit in their cancer recovery, as well as just being frank with people. So far I haven’t felt the need to punch anyone or have anyone punched on my behalf. Lucky, I guess. Because I’m not known for my sense of humor.